A Life Bound By Books: Cover Reveal & Excerpt: Searching for Beautiful By: Nyrae Dawn + A GIVEAWAY!!! Cover Reveal & Excerpt: Searching for Beautiful By: Nyrae Dawn + A GIVEAWAY!!! Synopsis: Before, Brynn had a group of best friends, a loving boyfriend, a growing talent for pottery. She had a life. And after…she had none. When Brynn lost the boyfriend who never loved her, the friends who feel she betrayed their trust, and the new life just beginning to grow inside her, she believes her future is as empty as her body. But then Christian, the boy next door, starts coming around. Playing his guitar and pushing her to create art once more. She meets some new friends at the local community center, plus even gets her dad to look her in the eye again…sort of. But can Brynn open up her heart to truly find her life’s own beauty, when living for the after means letting go of the before? Ohhh! This sounds like a fantastic book!! I can't wait to read it! My eyes won’t leave his and his won’t leave mine. And he’s cute. God, he’s so cute, I just want to focus on his cuteness. I want that to be all that matters. When his hand comes up and cups my cheek, I gasp. He brushes his thumb under my eye and licks his lips and I’m frozen and on fire and close to having a heart attack and anxious all at the same time. Slowly, he leans forward and I know he’s giving me time. And my heart is leaping and I want to feel his lips. This is Christian. The boy who asked me to dance. The boy I ran to my mom about and told her that I loved. And now he’s my friend. The first person who has made me feel normal since everything happened. But I’m so scared. Scared of messing it up. Scared he’ll decide he doesn’t want me. Scared of losing him. Of getting hurt. He gets closer and I smell his sweet, sugary scent. See his mouth and wet lips and that hair I want to touch. See the one person besides Emery who I have. The one person I can’t lose. “Wait,” I say and Christian stops moving. He’s still close. So very, very close that his lips are only an inch away from mine. “I’m scared,” I admit. And I swear a part of me believes him. Maybe all of me. But how do I know if that’s the right decision or not? He runs his hand down my face and touches my hair. Love that he’s not nervous to do it the way I am with him and I watch his fingers, brown against my red hair. Writing has always been Nyrae Dawn’s passion. There have been times in her life where she wasn’t able to chase that dream the way she desired, but she always found her way back to telling stories. One of her loves has always been writing about teens. There’s something so fresh and fun about the age that she loves exploring. Her husband says it’s because she doesn’t want to grow up. She doesn’t think that’s such a bad thing and luckily for her, he doesn’t either. Nyrae gravitates toward character-driven stories. She loves going on emotional journeys with characters whether it be reading or writing. And yes, she’s a total romantic at heart and proud. Nyrae resides in sunny Southern California with her husband (who still makes her swoon) and her two awesome kids. When she’s not with her family, you can be pretty sure you’ll find her with a book in her hand or her laptop and an open document in front of her. 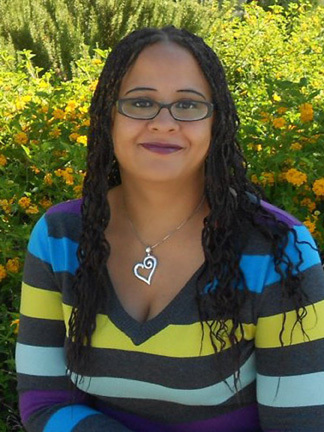 She writes for Entangled Publishing, Grand Central Publishing and is self-published. Nyrae is represented by Jane Dystel of Dystel and Goderich Literary Management.